1) Acceleration of the knee joints in extension 78th percentile measured against all NBA athletes (i.e., not just centers). A man with a shorter limb can be expected to accelerate the knees quicker, all other things being equal; in the case of Mr. Williams, you combine his acceleration with his length and you have somebody who really gets up there, and qvickly. 2) On the spider chart he appears to be at somewhere north of 90% for lateral drive - compared to all NBA centers, and, again, combining that with his length gives him an extraordinary skillset for playing NBA defense. If he can get enough court time and has the mental gifts to match the physical ones, he could be one of the top defenders in the league. I notice, by the way, that two of P3’s clients are Gordon Hayward and Jaylen Brown (of course Jaylen is!). The best case is likely closer to a quicker Deandre Jordan, free throw catastrophe not excluded. At the very LEAST he has a GREAT first name. Now, if the young Robert develops a Spin Move I'm through. And - nothing wrong with being the strong, silent type either. It worked for The Chief - to GREAT effect. I'm expecting great things out of him. He has a great team, great youth, veteran leadership and great coaching. Additionally - he HAS to make the other 26 teams pay for passing on him. Thanks to the P3's video and the proof of Robert Williams vertical reach along with the breakdown of his mechanics that make him as fast laterally as NBA guards .The combination of the 2nd highest vertical reach just behind Dwight Howard a 7-6 wingspan as measured by Danny and lateral speed make for a historic combination. He loves defense so now the fun starts.The instruction and individual coaching. Learning the technical aspects of footwork,angles,rebounding till its instinctive and team defensive sets, Then film and more film.He will have tutoring from Horford and will lose the excuse of under coached. I have a theory that most young big guys do not apply themselves to strength training,conditioning and drills. Between now and training camp we may see a measurable improvement in strength and stamina. I can't wait for Summer League as guard play attempts to dominate and runs into a few monsta blocks from weak side or trailing a play or just plain old rim protecting.Having to deal with Semi or Yabusele only to run into Robert Williams. Love the enthusiasm. It’s a fun time of the year to be thinking about what might be. Williams has shown some amazing tools, no doubt. Let’s all remember, too, to be a little patient. It could take a few years to put it together - and that’s fine. We have our starters and he’s on a very, very cheap contract. Do you happen to know what those other measures on the spider chart are? Could someone post that pic? Can't access twitter right now. Has anyone bothered to ask what Bill Russell thinks of Williams? I'm sure he has seen him on video, and he has probably talked to the Celtics about him. Of course, I'm not quite sure the current media even knows who Bill Russell is --or was. 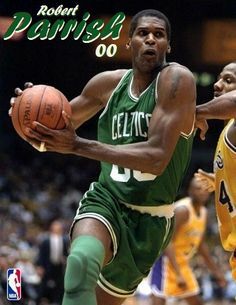 Or about the dozen or so championships the Celtics won during his tenure--with his defense having a lot to do with it. Nobody is equating Williams with Russell at this point, of course, but you look at his videos, and he sure does remind you of a young Bill Russell. Russell did a ton of stuff that does not show up on the stat sheet. His will to win was legendary. It’s a video, all too brief and lacking crucial info and explanations. What I said is very simple. The key part is, “all other things being equal.“ It is basic physics: longer tibias and femurs have more inertia to overcome. From a standstill Rob gets 2 ft above rim. And that is amazing. So quick off the ground to very high.